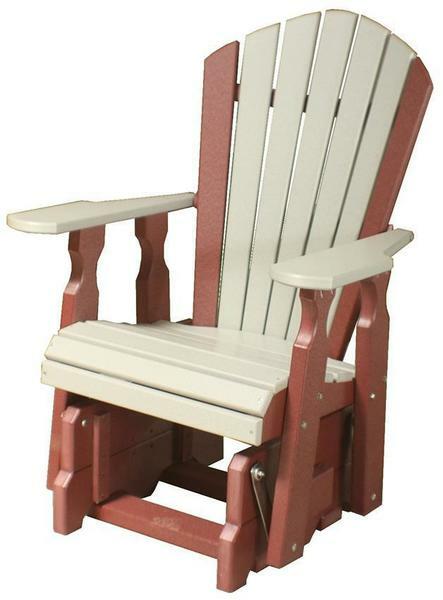 Our fantastically handcrafted Creekside Poly 22" Classic Glider is made tough with crack and rot resistant poly lumber - a recycled material famed for being maintenance free, eco-friendly and tough against all weather! Our wonderful Amish Poly 22" Classic Glider is a lovely traditional style outdoor gliding chair that lets you lounge effortlessly outside. This lovely gliding chair also comes in your choice of color and an optional cup holder. Proudly made in the United States of America.